Should You Choose a Petrol or Diesel Generator to Power Your Tools? When it comes to operating saws, grinders and other heavy-duty power tools on a large and isolated work site, having a ready source of power is all important. To that end, there are a wide range of generators to choose from for your tool powering needs, ranging from small, highly portable units to large generators capable of powering many tools at once. However, choosing a generator isn’t just a case of plumping for the biggest one you can afford; you have a number of choices to make regarding capacity, portability and other factors, and one of the most important choices you must make is the type of fuel your generator uses to create power. You can choose from petrol- and diesel-powered generators, and while these devices may seem practically identical at first glance, each fuel type comes with its own individual advantages and disadvantages. As such, you should make sure that the fuel type you choose suits your generating needs before you invest in a generator. What Are the Pros and Cons of a Petrol-Powered Generator? It’s important to consider all the features and aspects of a generator before purchase. Below, we’ll discuss the best and worst traits of petrol-powered generators. Petrol generators are ideal for individuals and commercial businesses looking for efficient, reliable power generation at a low cost, and you can expect most petrol generators to be significantly cheaper than diesel powered equivalents. This cost-effectiveness also extends to the fuel they use—while fluctuating oil prices mean that both petrol and diesel prices can never be taken for granted, petrol remains cheaper to purchase than diesel, especially in bulk quantities. Petrol generators aren’t just cheap, however. They also have the benefit of running quieter than most diesel generators—a particularly useful quality when working in enclosed spaces or unfinished buildings with no sound baffling and insulation installed. Petrol generators also tend to be slightly lighter than diesel generators, and while this weight difference may not seem significant at the point of purchase, it can quickly become a godsend when it comes to lugging a generator up a multi-storey building. However, when purchasing a generator it is important to bear running costs in mind as well as purchase costs, and in this area petrol generators do not excel. They use their fuel less efficiently than diesel generators, necessitating more regular refills and larger quantities of fuel kept on or close to your work site. Because petrol burns more fiercely than diesel, petrol generators also run at considerably higher heats than diesel equivalents, placing more strain on internal components and potentially necessitating more frequent maintenance and repairs. What About the Pros and Cons of a Diesel-Powered Generator? Not sure if petrol-powered generators are right for you? Take a look at both the good and bad aspects of diesel-powered generators. If your main priorities when purchasing a generator are safety and reliability, consider choosing a diesel powered model instead. In addition to running at significantly lower temperatures than petrol generators, they are also more robustly built in general, and they rely on compression rather than spark plugs to ignite their fuel—this means less operating strain which can cause malfunctions. This also makes a diesel generator somewhat safer to operate since it does not carry a built-in ignition source. As previously mentioned, diesel generators also use their fuel at a significantly slower rate than petrol equivalents, so the costs of operating them are significantly lower over the long term despite diesel’s higher purchasing price. This efficiency also means less fuel kept in storage for refills, which prevents fuel wastage due to spoiling during long-term storage. 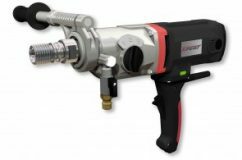 Naturally, keeping less fuel around for refills also makes for a safer working environment, a particularly pressing concern when working with cutting or grinding tools that can generate sparks and significant amounts of heat. Unfortunately, all of these great advantages come at a price, and while diesel generators can be surprisingly cheap to run, they are generally considerably more expensive to buy than petrol generators. Their heavy-duty build also means that any spare parts you may need can be more expensive. Diesel generators are also more sensitive to the weather and ambient temperatures than petrol generator—specifically, you may have trouble starting a diesel generator in particularly cold weather, whereas petrol generators can usually be relied on to start promptly in any kind of weather.